This is the first time I've painted my nails in weeks and I really have missed having colourful nails! 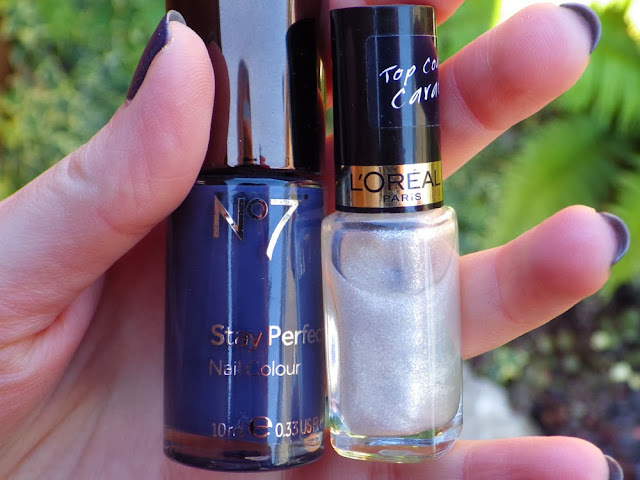 I really fancied using a dark colour with a glitter top coat and so I went for the No7 Stay Perfect Nail Colour in Thunderstorm, which is a purple toned, stormy grey colour, for the base. On top I added a coat of the L'Oreal Top Coat Carat in Diamond Dust, which is a fairly new addition to my nail varnish collection. I bought it thinking it would just be silver glitter, however it's actually a fine mix of silver, green and blue, which is so much more stunning and impressive on the nails than it is in the bottle. 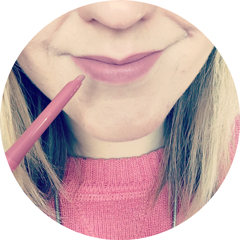 The glitter is so, so concentrated, I couldn't believe I only needed to apply one coat! I think this is a truly underrated glitter top coat. What's on your nails at the moment? What glitter top coats are you loving right now? Those polishes go so well together! Love the glitter.